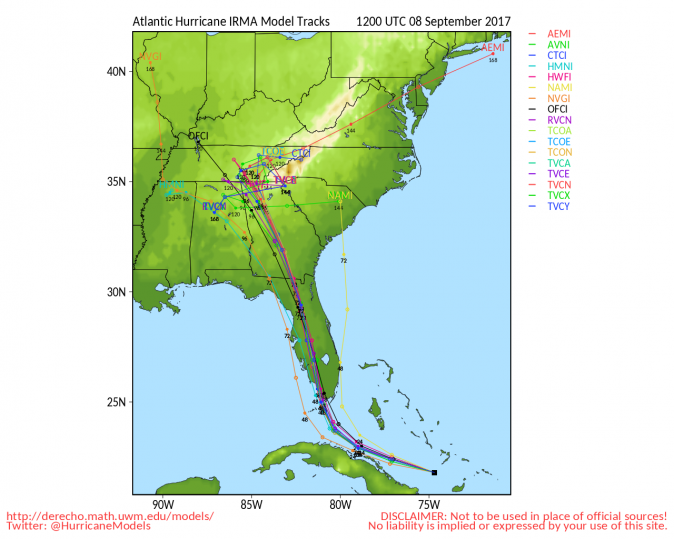 Hurricane Irma, about to hit Florida on Saturday, Sept. 9, is forecast to reach south Tennessee, as it loses strength and becomes a tropical depression, according to Friday morning weather models from the University of Wisconsin. Irma weakened to category 4 as it ripped across Caribbean islands killing at least 13 and causing large-scale destruction. Florida is bracing for the storm. Schools are shut, impact zones ordered to evacuate, shelters established, and two nuclear power plants will shut down reactors. 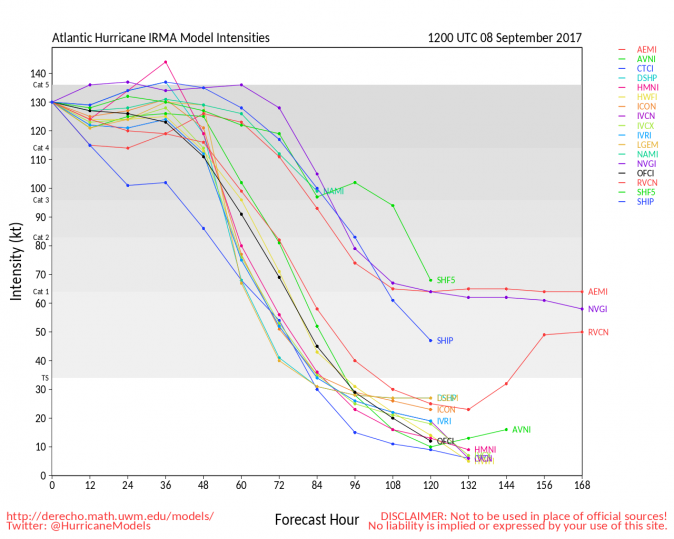 While earlier forecasts predicted Irma will move north along the eastern coast of Florida, models from Friday, 8 a.m. EST, show the storm traveling closer to the western coast of the peninsula. Irma is expected to weaken as it moves over land. It could reach Georgia as a Category 1 hurricane or a tropical storm. By the time it arrives in Tennessee, it could be a tropical depression with winds between 10 and 30 mph. That doesn’t mean Tennessee is completely immune. After Harvey caused catastrophic flooding in Texas, it still packed enough of a punch to wreak havoc in the states further east. Tennessee saw up to 10 inches of rain, some flooding, and at least two tornadoes, the Tennessean reported. Meanwhile, the forecast for Irma can still change. It now seems the eye of the storm will not center on Florida’s eastern coast. But it would be too early to celebrate for the 6 million living in the Miami metro area. Irma is so large it will engulf virtually the whole state, regardless of where it hits landfall. Over 650,000 residents were ordered to evacuate Miami-Dade County, the most populous county in Florida. 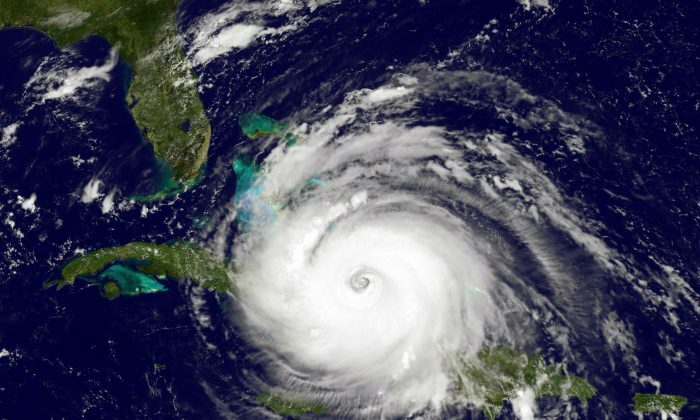 According to the Miami Herald, the total number of residents ordered to flee hits the record for the largest evacuation ever attempted by the county. A mandatory evacuation was also ordered for residents in at-risk areas of Broward County, the second most populous county. NTD TV contributed to this report.